This is a beta release. Do not install it on production machines. The final stable version will be released on October 10, 2010. ... 28th of April 2011! And Maverick Meerkat (Ubuntu 10.10) should be released on October 10th, 2010. FREE as in OPEN SOURCE! 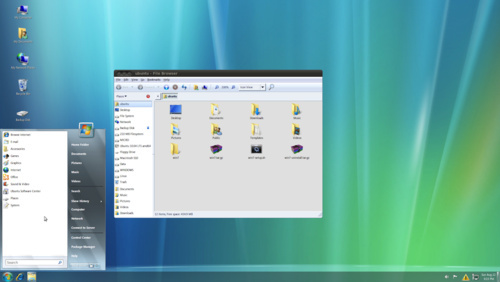 Download and install Ubuntu 10.04 and then simply apply the W7 theme. It is available for Windows as well as Linux and Mac (on Mono). Based on the CarbonTools PRO open-geospatial development toolkit, this viewer can access an array of geospatial sources such as the Open Geospatial Consortium (OGC) Web Mapping Service (WMS), Web Map Tile Service (WMTS), Web Coverage Service (WCS), Web Feature Service (WFS), and Filter Encoding (FE), services such as Microsoft Bing Maps, Yahoo! Maps and OpenStreetMap (OSM), as well as file formats such as ESRI Shapefiles, Google Earth KML/KMZ, DXF, MIF, Geography Markup Language (GML) and GML Simple Features (GMLsf). Looking for an alternative IDE? 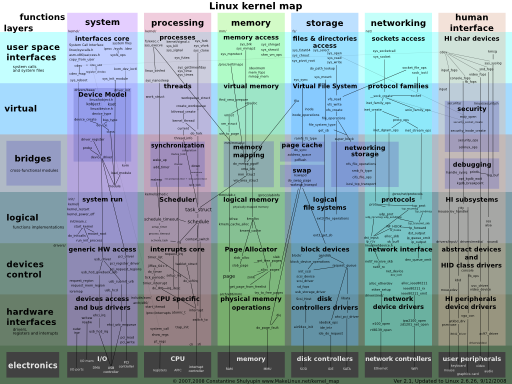 It is cross-platform and open source. 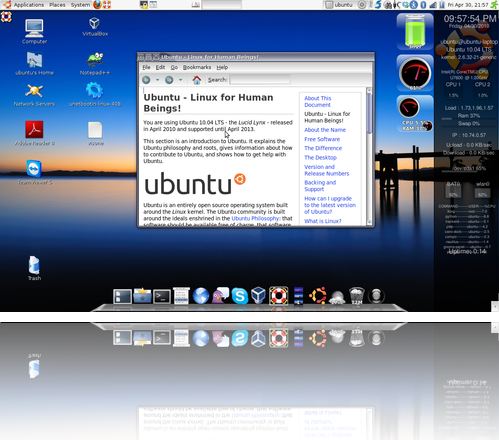 Congrats folks, upgrade to Ubuntu 10.04 Lucid Lynx went very smooth ! Ubuntu 10.04: Lucid Lynx Coming Soon !